So you’re driving down the road when you notice rain clouds in the distance. You get a little worried because you forgot to get new wiper blades! Then the rain hits and your windshield is just a mess. 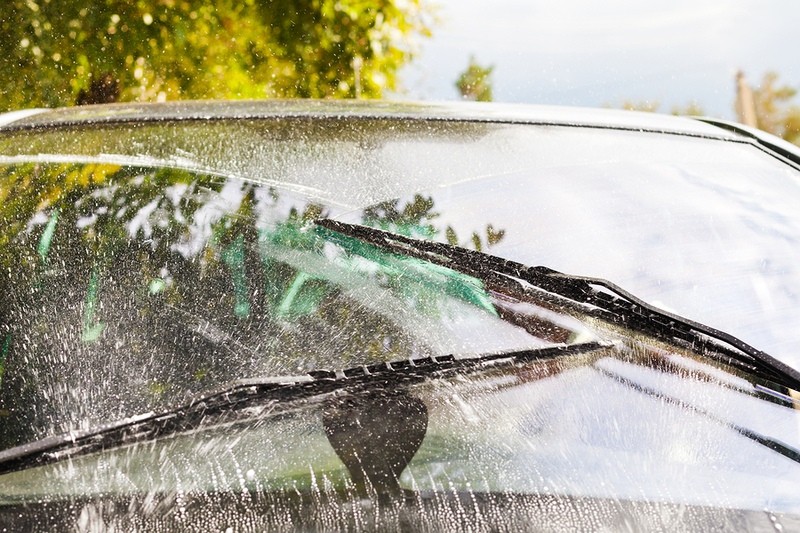 Your old wipers are just pushing the water around the window instead of wiping it off. New wipers will actually wipe the windows clear of rain or snow, making it much easier to see where you’re going. And this is even more important in the snow, when you add snow and slush to the mix. It can take just a split second of not being able to see and then you’re driving off the road or getting into an accident. So get to Elkhart Mechanics and get some new wiper blades. It only takes a second. Windshield wipers make it possible to drive in rain and snow and to wipe the condensation or even ice off of your windshield. Needless to say, it is unsafe to drive without functional windshield wipers. Most of the time windshield wiper blades last about a year. The wiper blades are made of rubber, which can become warped or brittle over time, especially if exposed to very high or very low temperatures. You know it is time to replace the windshield wiper blades if they do not clear away debris efficiently. Old, brittle blades also sometimes make a creaking noise when they come into contact with the windshield. If the wipers move but do not get close enough to the windshield, this is probably because the wipers themselves are bent and out of alignment. A common cause of this is turning on the wipers to have them clear away heavy snow from the windshield. A way to avoid having to repair your windshield wipers is to remove as much of the snow as you can from your windshield with a brush before you turn on the windshield wipers. If your windshield wipers are frozen onto the windshield, do not turn them on. This will damage not only the wipers, but also their transmission. Instead, turn on the car’s defrost system and wait for most of the ice to melt before you turn on the wipers. The wiper transmission and wiper motor are other parts of the windshield wiper system that can malfunction. If your windshield wiper motor stops working, it is probably because of a computer problem which can be identified by an engine diagnostic test. If your windshield wipers are having any problems, bring your car to Elkhart Mechanics. We will fix your windshield wiper problems quickly, efficiently and inexpensively.